← I Was on TV. Sick of This Story Yet? Me Too. Work with what you got, right? Click to enlarge. Those are some enormous banners. I love the “100 YEARS OF HISTORY – OUR TIME STARTS NOW” coupled with the painter on the bottom right starting to write something. 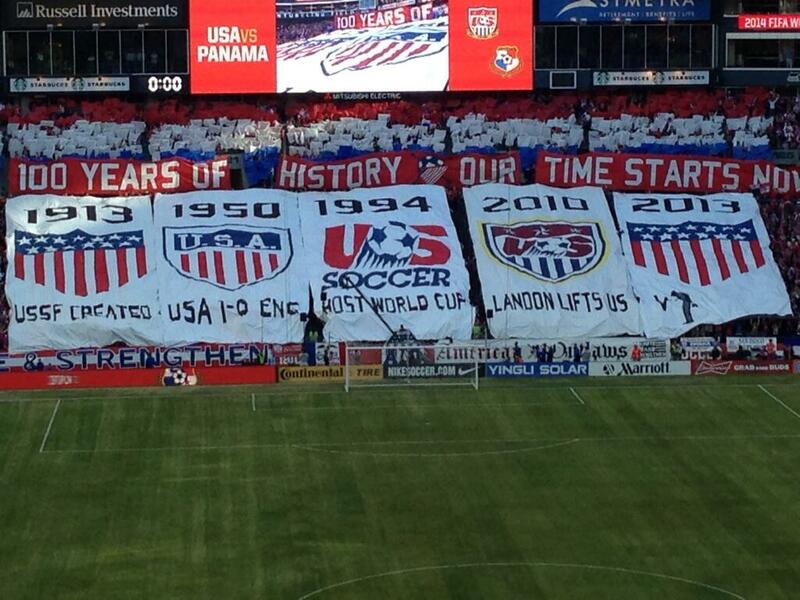 Sure looks like a V… which sure looks like the first half of a W… and that’s the first letter in “World Cup Champs”. Do work, America. This entry was posted in Soccer and tagged usa soccer. Bookmark the permalink.